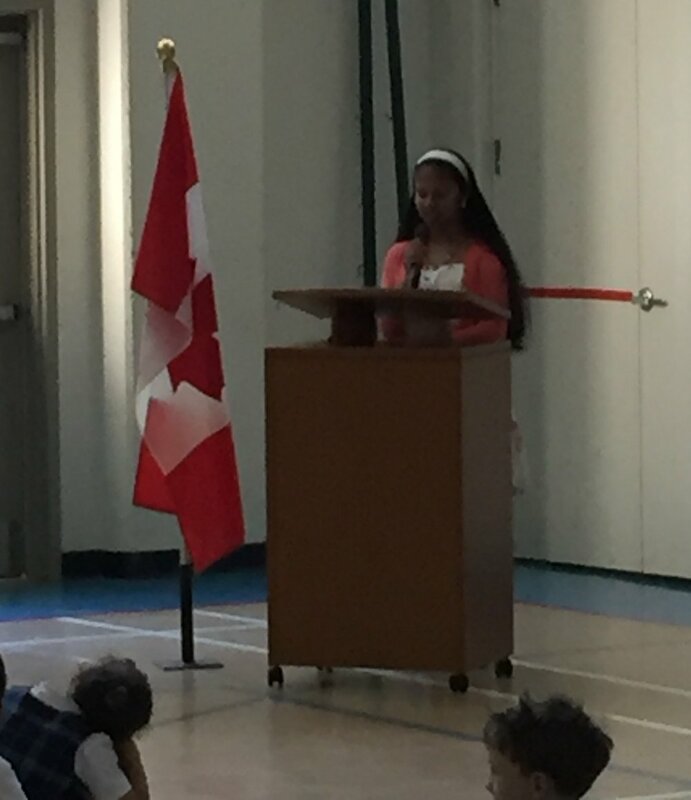 On June 28th, the Grade Seven class of 2016 graduated from ICS. At 10:30 am, the school held a graduation assembly for them. The graduating class included 22 students, most of whom have been at ICS since Kindergarten. All of their families were in attendance and had the chance to view a slideshow of the years this class spent at ICS, to hear a bit about the accomplishments of each student from their Grade Seven teacher, and to listen to some speeches from the graduates about their experiences at our little blue school. One of the graduating families had been at ICS for 22 consecutive years, talk about dedication! 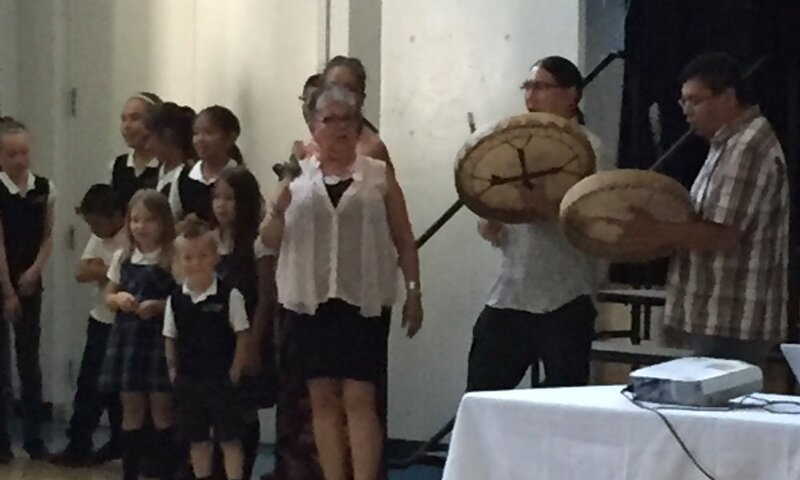 A special moment of the graduation ceremony was when one of our Musqueam families bestowed a blessing upon the graduates and shared words of wisdom as they leave our little blue school. All of the Musqueam students were invited to participate, lending extra voices to the already beautiful chanting and drumming. Although the graduates have gone to many different schools, their hearts will always be at ICS. Good luck to all of you as you go out into the world! Don’t forget to come back and visit. Older PostThank You Ms. Ryan!